The youngest in Arashi turns 30 today. THIRTY. When did chubby cheeks and bucktooth grow up? When I saw him in person seven years ago, I was literally taken aback by his beauty. Those eyes. Damn. And the moment he enters a crowded room, eyes are just riveted to him. 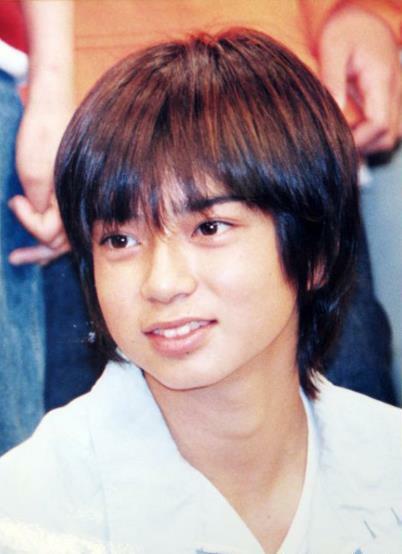 He has grown into a beautiful man, but more than the physical, it’s who and what Jun-pon is. I still can’t get over his performance at last weekend’s 24 HOUR TV. He topped his challenge last year and I am such a proud fan. Yes, I was Jun-baited and I thank HANA YORI DANGO for introducing me to the wonderful world of Arashi. They’ve been my oasis, the five rays of the rainbow that hold me together, my healing balm. So I take this moment to thank Arashi, and greet Junnosuke a happy birthday, because truly, there are only a few idols who go beyond the superficial and inspire us to be better persons. But turning 30 also means that Arashi is growing old up. And that idol magazines won’t have their pin-ups anymore. Look, even Hitler is worried. But no need to worry, Arashi will always be Peter Pans inside though they have become men with their own set of responsibilities and position in society. HAPPY BIRTHDAY, J!!! Ganbare Macchan! “dont get me started with nino!” wtaf?> i literally die laughing! !